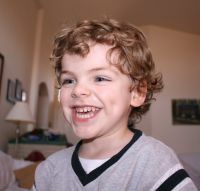 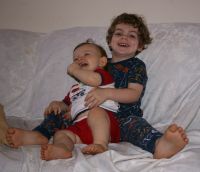 Below are pictures of Mark and Andrew between July 12th, 13th & 15th, 2008. 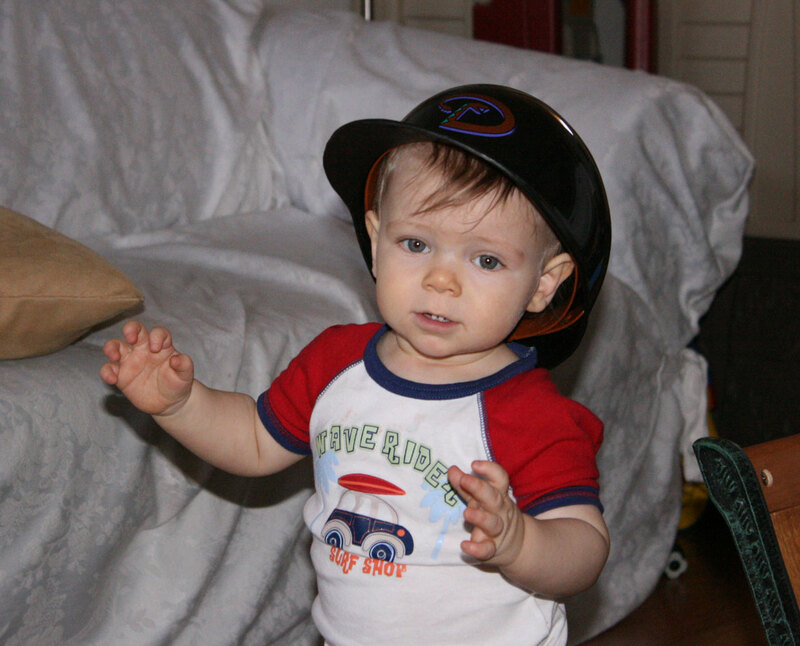 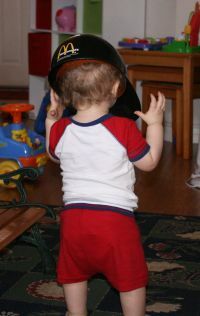 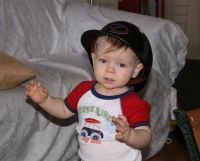 Andrew with baseball helmet on his head. 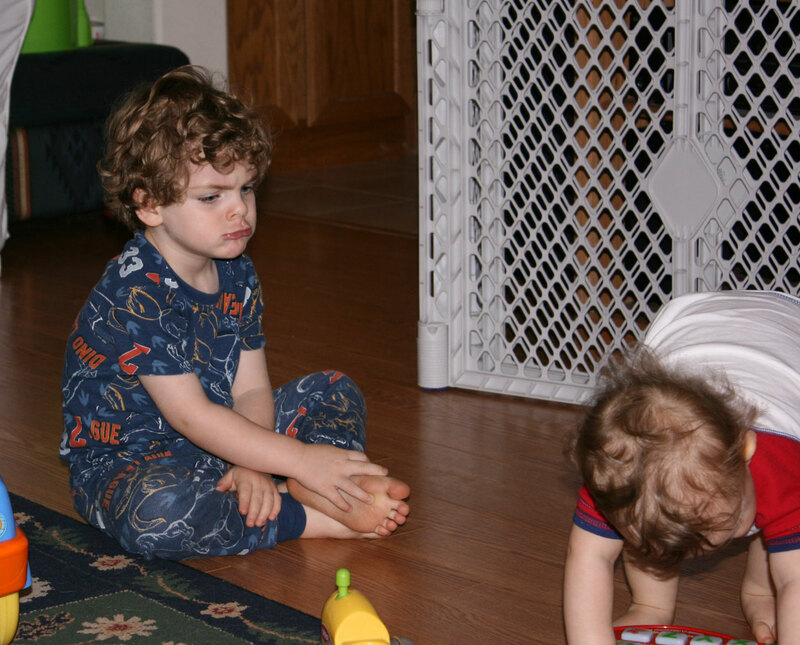 Mark with a pouty face while Andrew plays on July 12th. Mark and Andrew on the couch on July 12th. 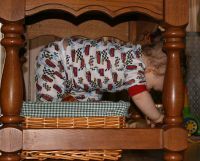 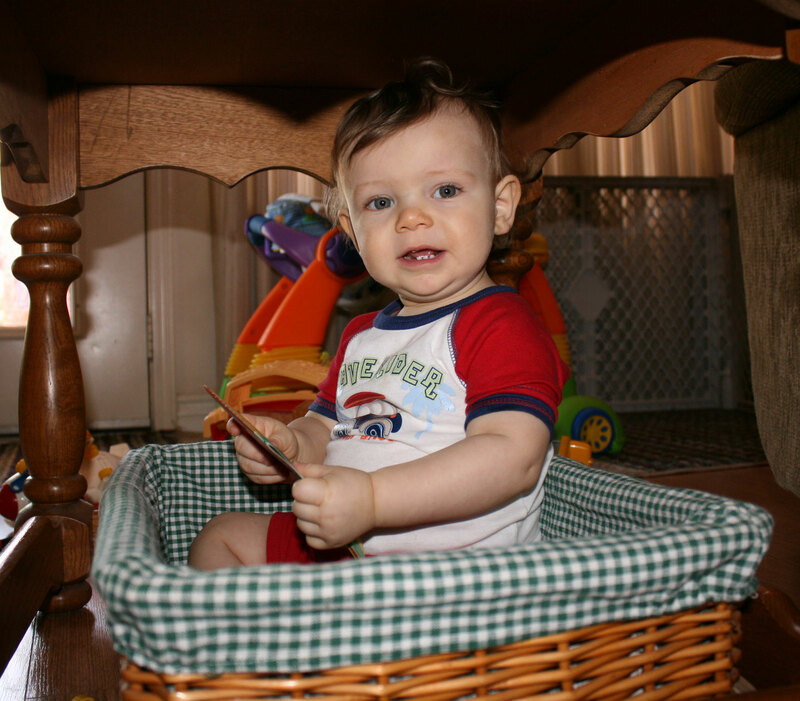 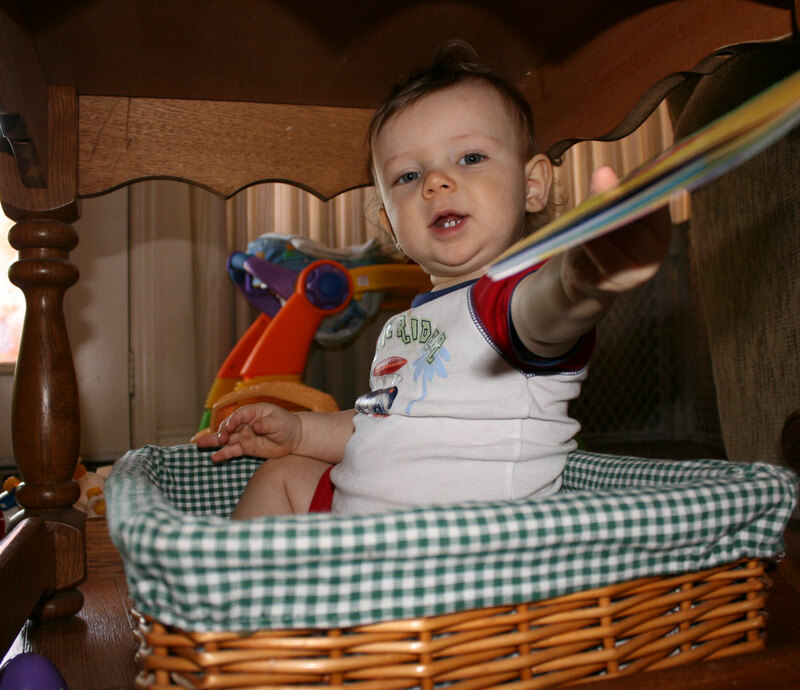 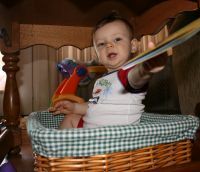 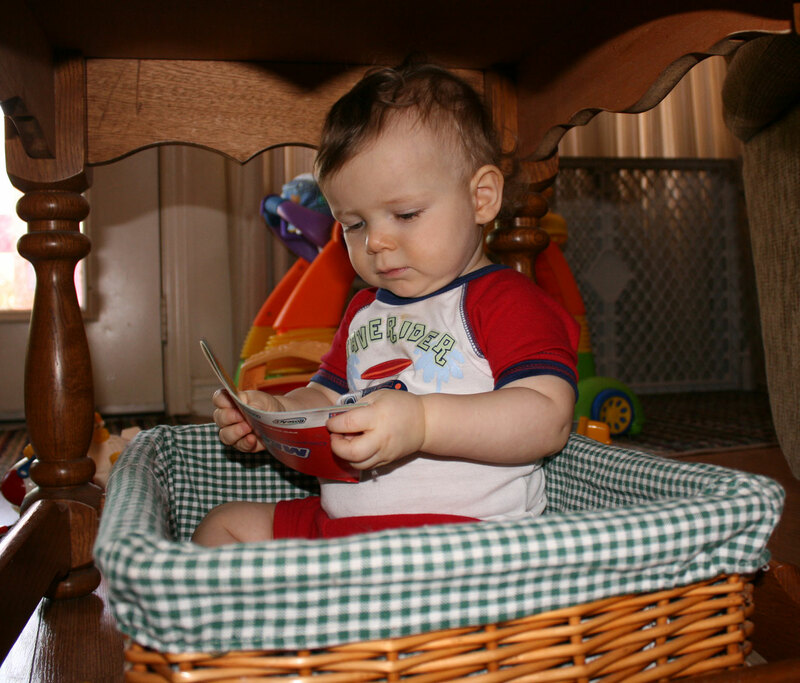 Andrew in basket under table where he had crawled into by himself on July 12th. More of Andrew in basket under table on July 12th. 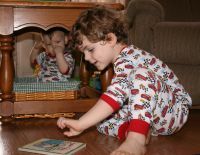 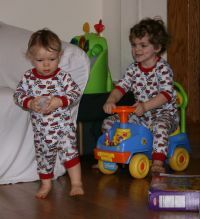 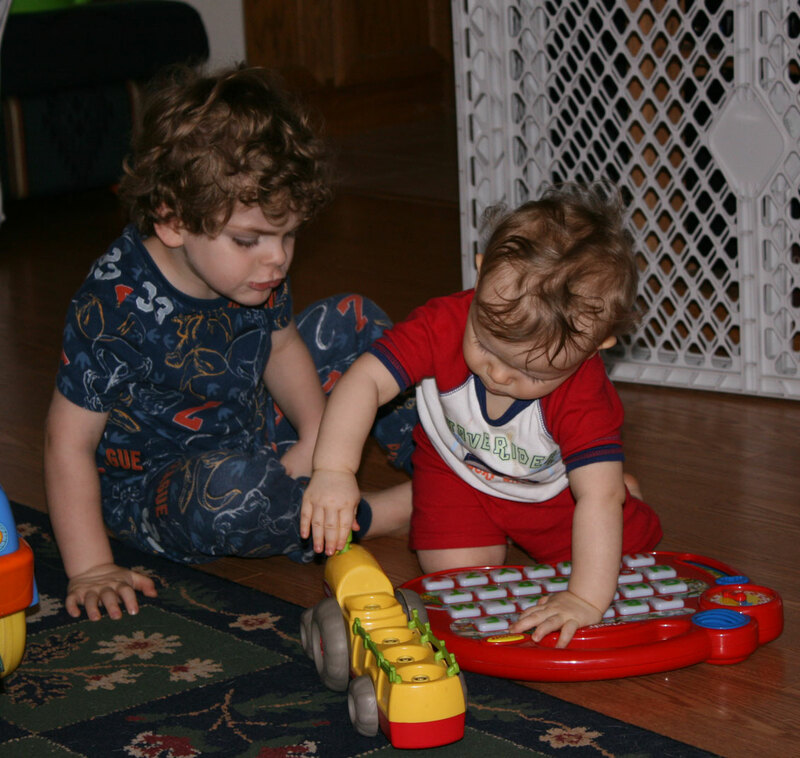 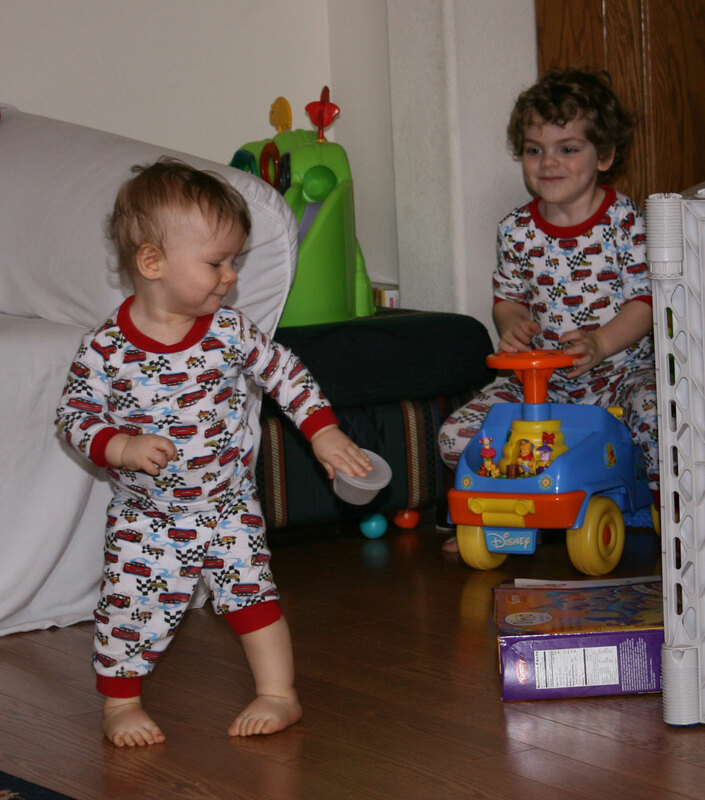 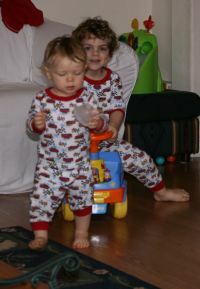 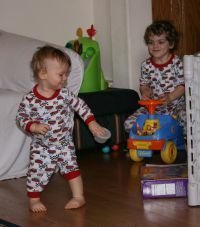 Andrew and Mark in Matching Pajamas on July 13th. 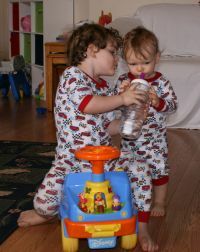 Mark helping Andrew drink water on July 13th. Mark now drinking water, Andrew pouting ... or just swallowing the water, but is cute. 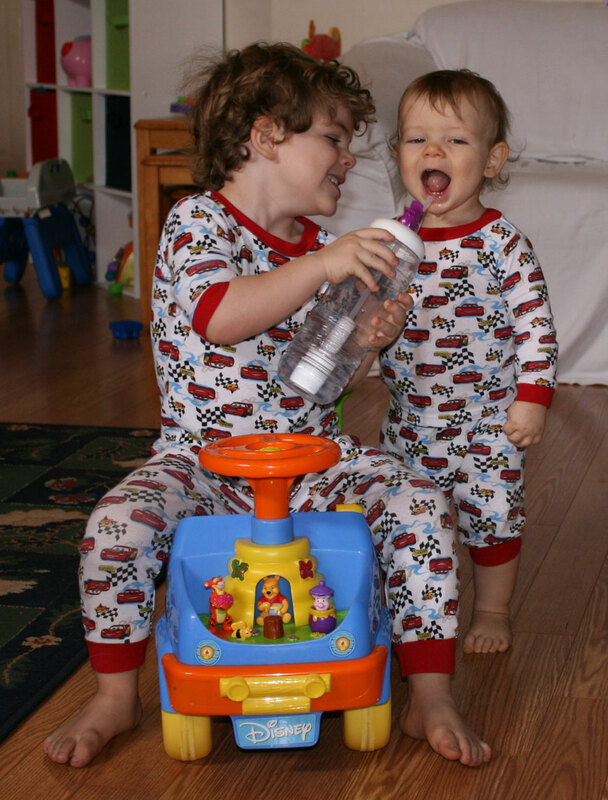 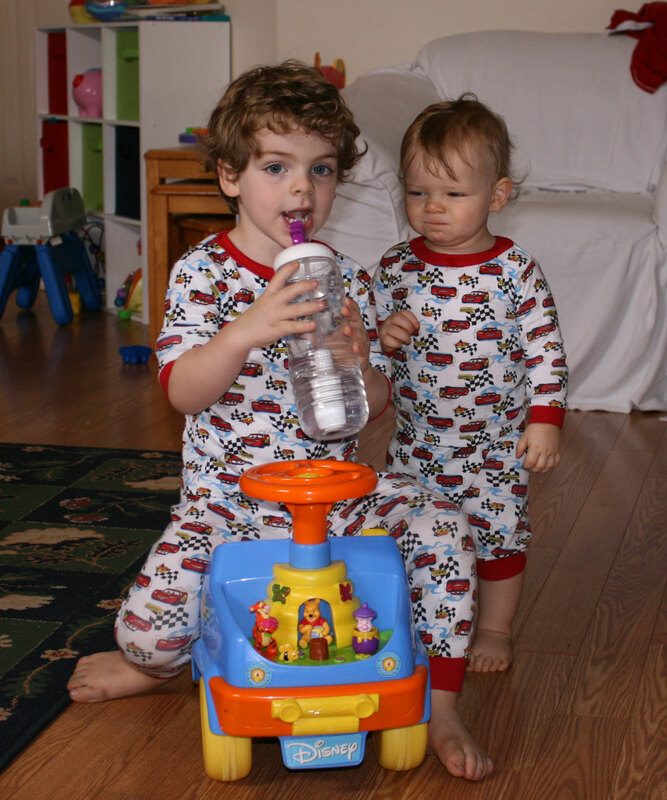 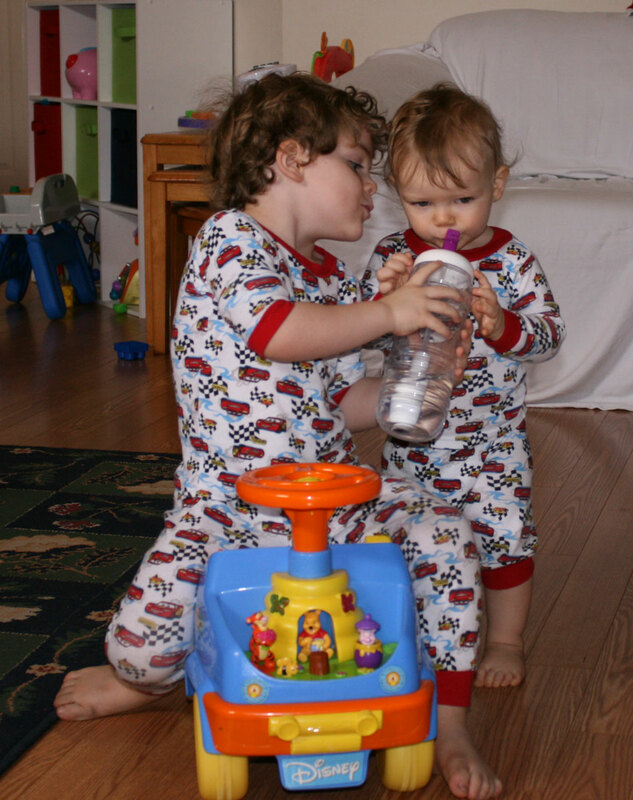 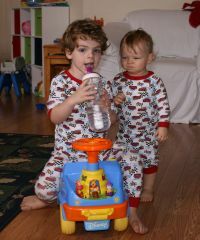 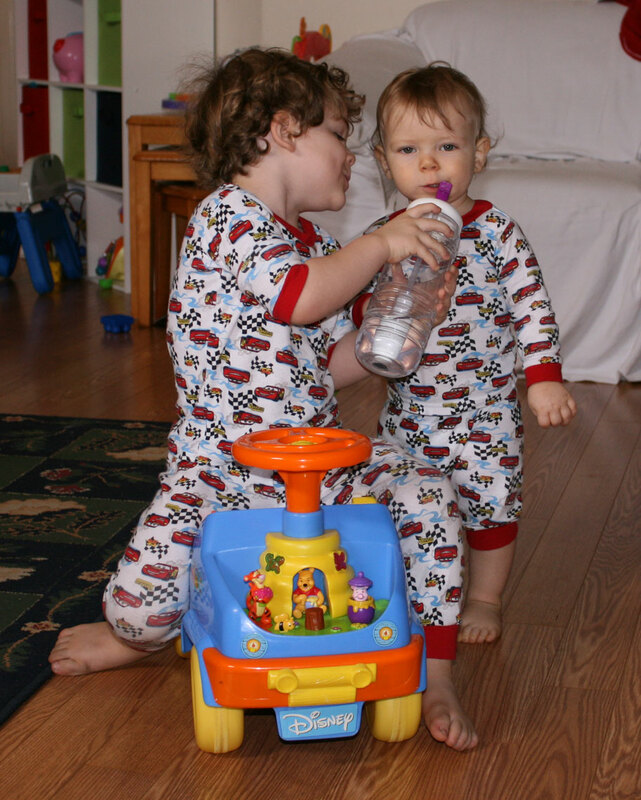 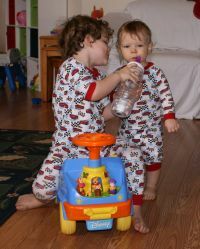 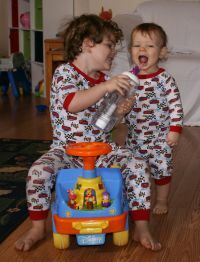 More of Mark helping Andrew drink water in matching pajamas. 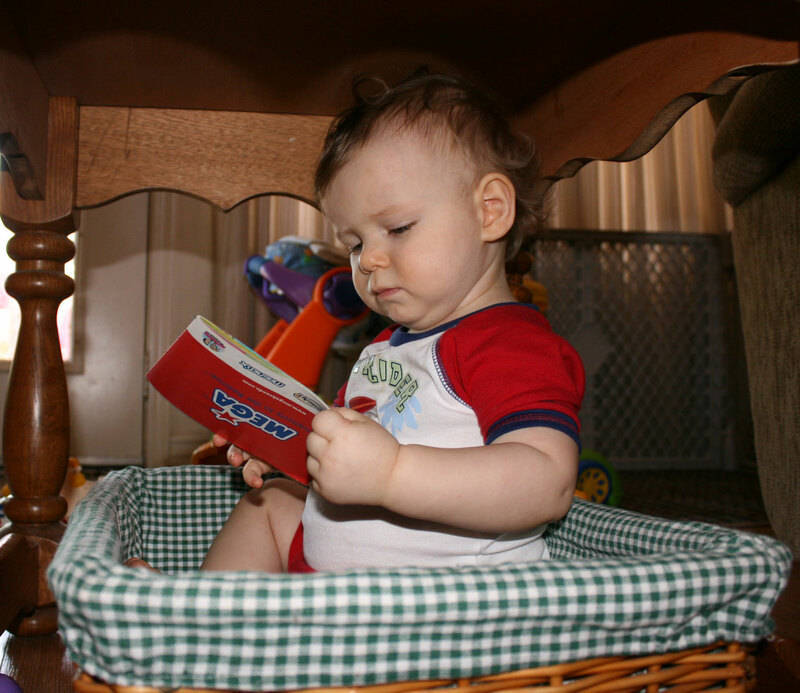 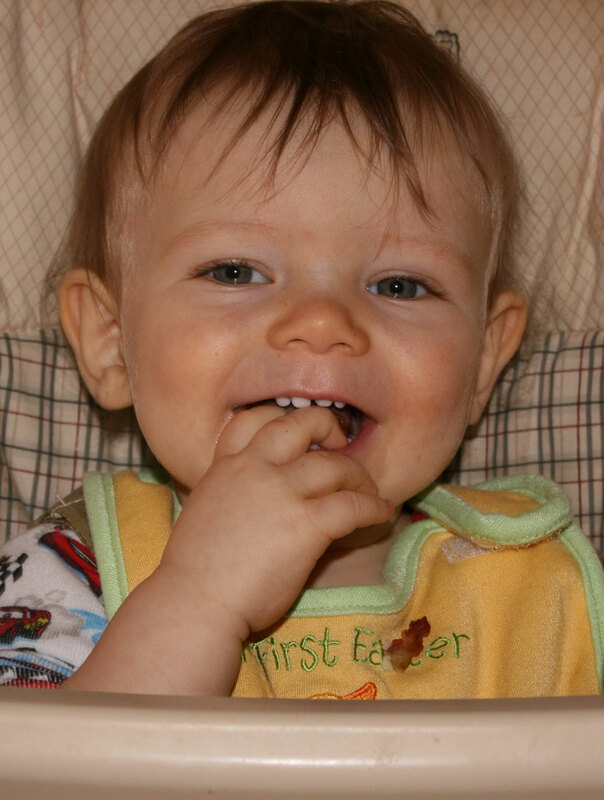 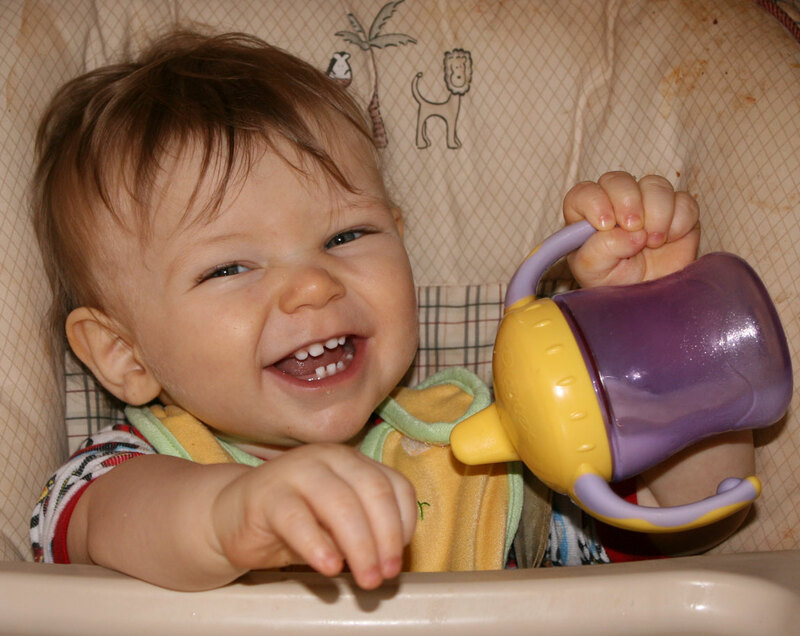 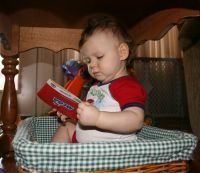 Andrew in highchair on July 13th. 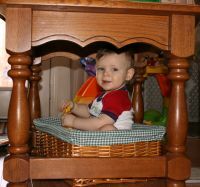 Andrew in basket under table, Mark sitting close by. 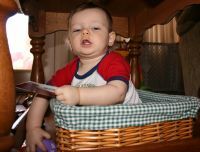 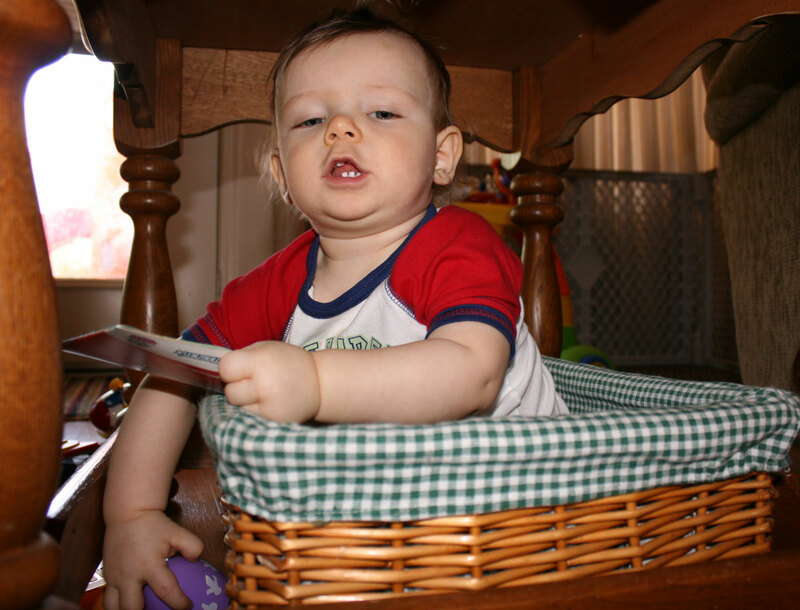 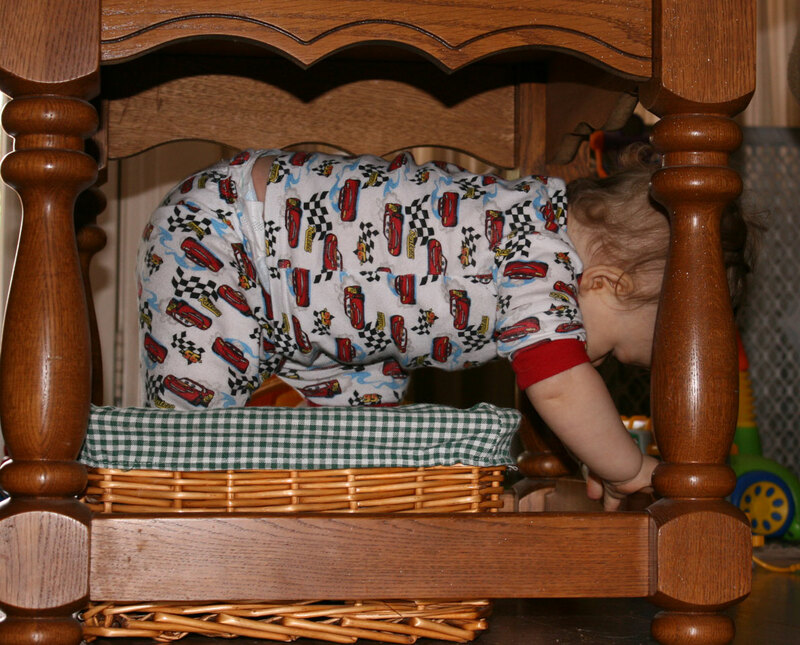 Andrew getting out of basket from under table. 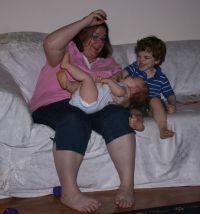 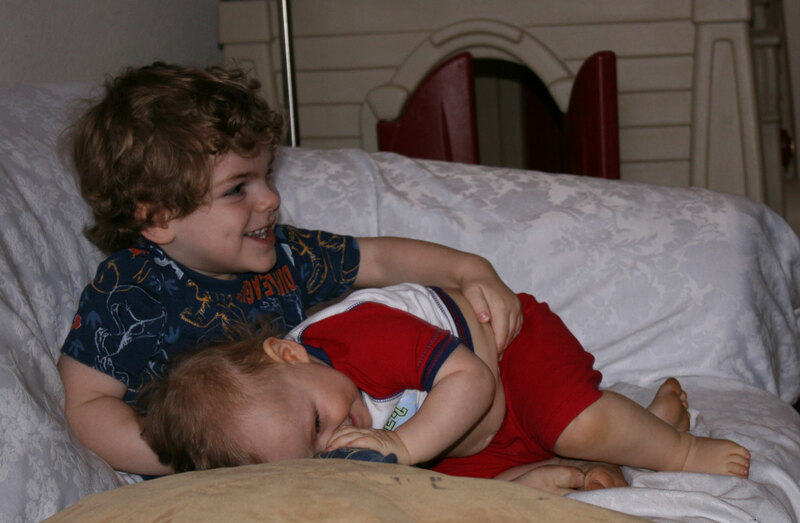 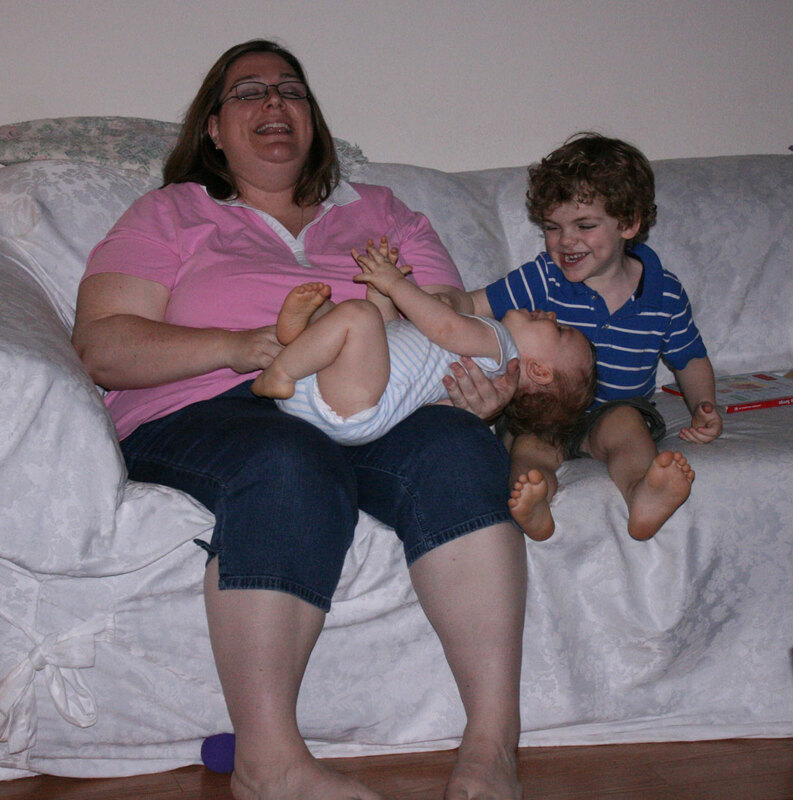 Kelly tickling Andrew on the couch and Mark also helping to tickle Andrew on July 13th. 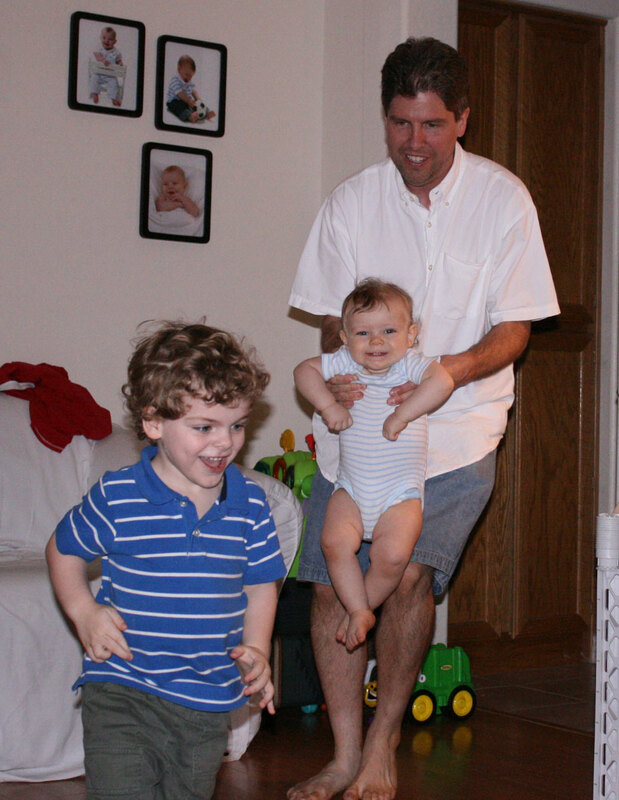 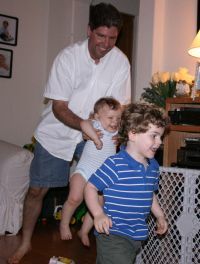 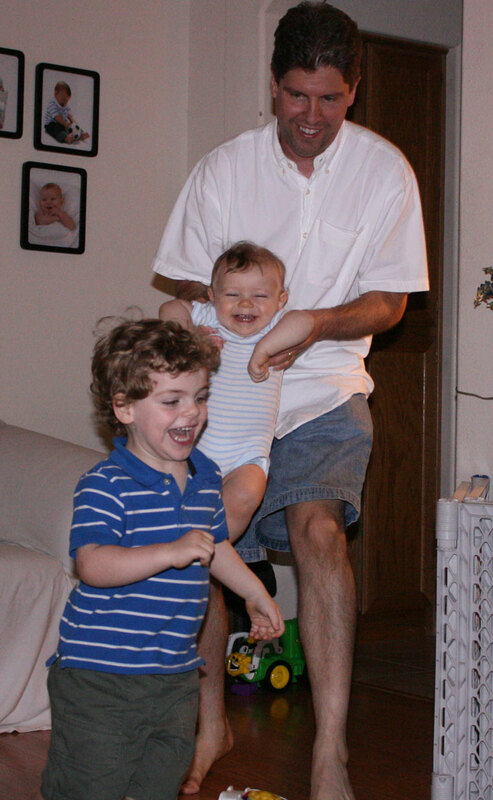 Mark being chased by John holding Andrew on July 13th. Close-up of Mark by recliner on July 15th. This page was last saved on Friday, August 8, 2008.